The books of reference used for this study of the book of 2nd Kings were the Bible, King James Version, called "The Companion Bible", Publisher Kregel; Strong's Exhaustive Concordance of the Bible, numbered to the Hebrew, Chaldee, and Greek, and English, coded to the Strong's Concordance numbers. Chapter 2 "Elijah's Translation [1-25]." "Jehoram, War with Moab [1-27]." Chapter 4 "Elisha and the Shunammite [8-37]." "The Shunammite Woman's Request for a Son [8-17]." Chapter 5 "Naaman's Mission to Elisha [1-27]." Chapter 6 "Elisah's Residence [1-7]." "Famine in the Land [24-33]." Chapter 7 "Famine Relieved, Discovery by Leper." "Warning to the Shunammite Woman [1-6]." "Mission to Elisha, Ben-Hadad [7-15]." "King Johoram of Judah's Evil Doing [16-24]." "Abaziah's Reign, Joram Dies [25-29]." "The Conspiracy of Jehu [1-14]." Ahaziah's Plot to Kill Joram [15-29]." "End of Ahab's House [1-11]." "End of Ahaziah's Brethren [12-14]." "End of Ahab's Seed in Samaria [15-17]." "End of Baal worship [18-28]." "Jehu's Death and Exclamation [36-37]." "Mother Athaliah's Reign over Judah [1-16]." "Jehoiada's Covenant with the People [17-19]." "Joash's Accession as a Child of Seven [17-21]." "Identity of Joash (Jehoash) Family [1-3]." 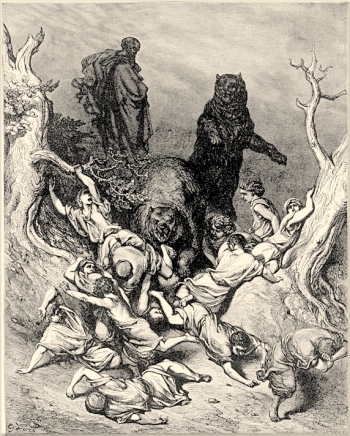 "Joash Killed by his Servants [17-21]." Chapter 13 "Jehoahaz' Reign in Israel [1-9]." "Jehoash's [Joash] Reign in Israel [10-12]." "Elisah the Prophet Dies, his Last Prophecy [14-20]." "Jeroboam II's Reign over Israel [14-25]." "Amaziah's reign over Judah [1-20]." "Uzziah, or Azariah's Reign in Judah [21-22]." "Israel. Jeroboam II's Reign [23-29]." "King Uzziah of Judah [1-7]." "Jotham's Reign over Judah [32-38]." "Ahaz's Accenssion to Throne [1-2]." "Evil doings of King Hoshea of Israel [1-6]." "Captivity and Removal of Israel from the Land [7-41]." "First invasion of Judah 13-17]." "Second invasion of Judah [18-37]." "Letter to King of Assyria [8-14." "Record of Evil Events of Manasseh [1-18]." "Evil removed from Judah [4-20]." "Command to Keep the Passover [21-30]." "Jehoahaz Begins his Reign [31-35]." "Nebuchadnezzar's Move against Jehoiakim [1-7]"
"Zedekiah Starts his Reign over Judah [18-20]." "Zedekiah's Fall to Nebuchadnezzar [1-21]." "The Remnant. Migration to Egypt, and Beyond [22-25]."